Welcome to Spring, and welcome home Leah! Although the sun is warm its still a bit chilly out there. We are busy busy here getting ready for whenever the spring weather truly arrives, and the boat launch begins. Although right now that boat launch is still a fair ways out based on how much ice is still on the lakes. 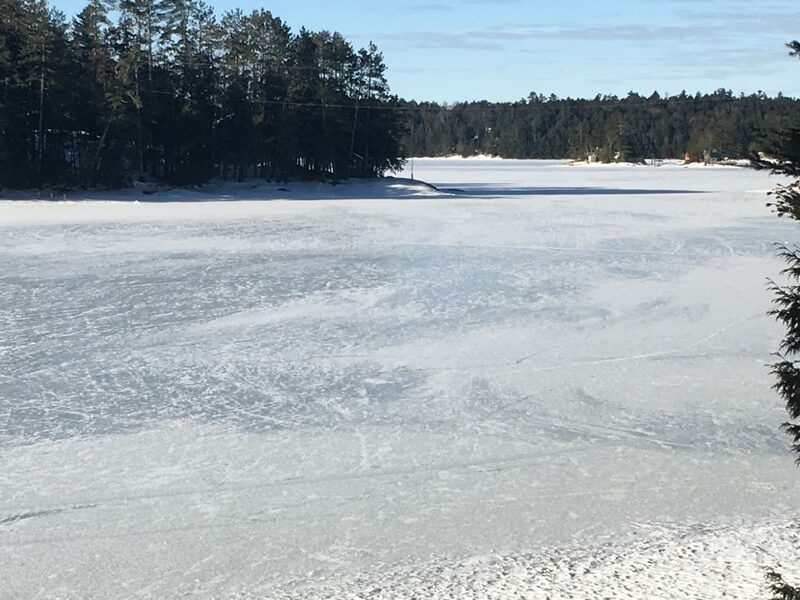 We’ve been told that the small back lakes have almost 40″ of ice on them, and some of the larger lakes somewhere between 20 and 30 inches so there’s still a long way to go before we see open water. That being said, please be careful if you venture out as there are lots of areas, particularly near shore, with running water that are starting to get soft or open up. As we start to think about spring and the boat launch, please remember that we require at least 2 weeks notice to get your boat out of storage and ready to rock for another season, longer if there are repairs to do or work you’d like done. You can email Michelle (michelle@littlegullmarina.ca) and she will take care of getting your toys in the queue for spring launch. Enjoy the sunshine and have a great week! We’ve got a lot of water up here now, most between Thursday and Friday. 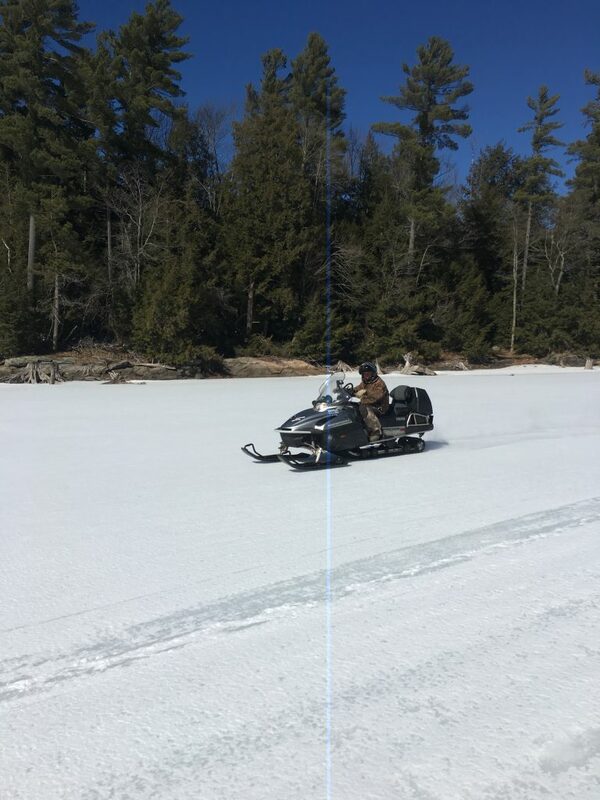 In some spots on Mississagua the pooling on top of the ice was over a foot deep so caution to snowmobilers your machines may not like the water very much, nor will the lack of snow be friendly to your sliders. We have seen this water freeze over between yesterday and today’s cold temperatures, but it is still possible to break through the top layer and feel some water before you hit the solid, thick ice underneath. Some areas might be great for skating! Most of the snowmobile trails around us are yellow now (limited availability) probably due to water and ice, with some north of the park green if you want to get a last ride or two in for the season. It sure has been a great one this year! Happy March Break to all the kids and school staff out there! 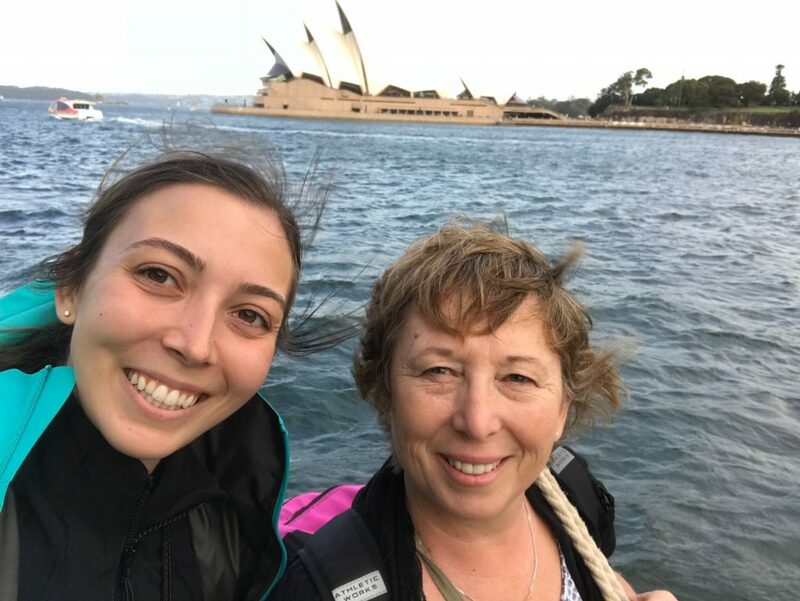 Leah and Heather are having a great time in Australia getting caught up and exploring Heather’s new city. Leah spent a day at the Australia Zoo where Heather works now, and they even got to Sydney for a couple of days this week as you can see. Who knows that the next week and a half will hold! Every year around this time, and often earlier, we start getting several inquiries about summer jobs, so we thought we’d try and give you some info here. Year to year we don’t necessarily know who is returning from the previous summer and who is not, however if you know someone who would like to work here during the summer, or through the year, please encourage them to send a resume to leah@littlegullmarina.ca. Leah keeps all of the resumes we receive on file so that when we do need a spot or two filled, we have an idea of who might be interested and can follow up. The conditions for outdoor winter activities are still beautiful up here, however there is a good amount of rain in the forecast right now over the next week, so keep an eye on the OFSC trail maps, but get out and enjoy while it’s still here if you can. Please also be respectful of the generosity of the private property owners who allow trails to cross their land by staying on the groomed trails. Have a great weekend and March Break.